It is with great pleasure that I get to share a new book I just came across. It’s called Contain It! English Paper Pieced Accessories by mother & daughter team Linda and Laura Chaney from Prairie Sewn Studios. First I’ll tell you about it, and then give you a chance to win your own copy! 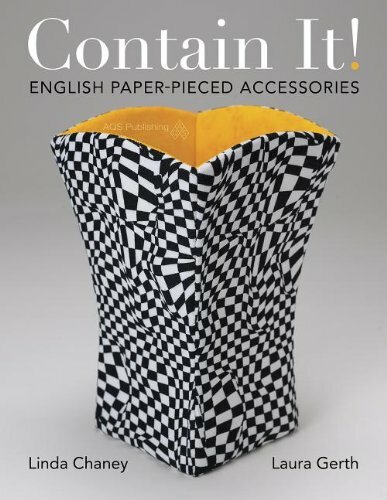 Now, usually I don’t make 3-D items, but several containers in this fascinating book definitely have me tempted to make one! 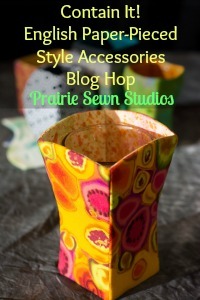 In reality, I will probably choose one or two and have my mom make them for me – she loves this type of sewing and there are some really great containers in here! Page from the book showing a gallery of cube containers. The projects are arranged in order of difficulty including: flatwork practice projects like mug rugs and table mats, cube containers, concave & convex containers, scalloped bowls, heart containers & boxes, star containers and boxes. 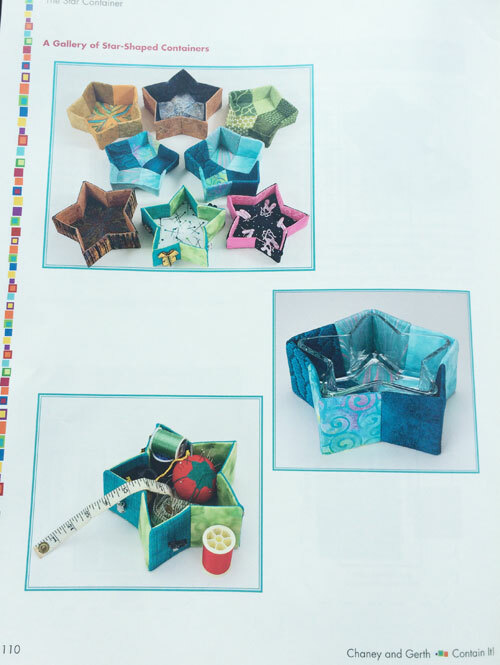 Page from the book showing a gallery of star containers. Linda and Laura are very thorough in their directions and each of the projects includes full sized templates. 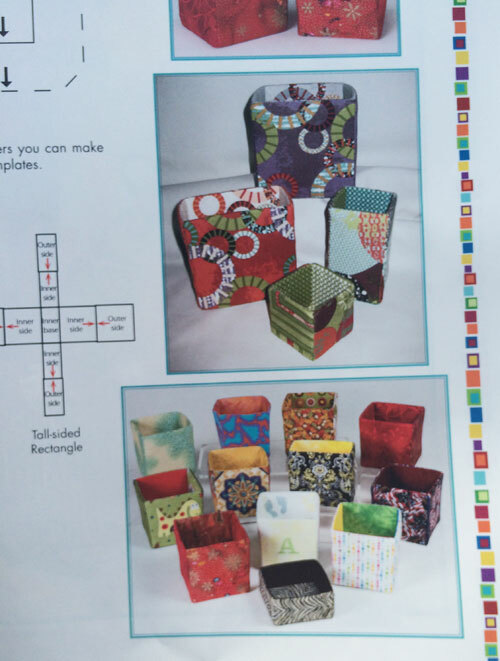 There’s also a great section in the front of the book that goes over suggested fabrics and needed supplies to successfully make the containers in the book. The containers can be sewn by hand or machine and layout/assembly diagrams (called an “octopus”) are given for each project. Be sure to check out each of the blogs on the hop this week for more perspectives on Contain It! April 15 – Christa Watson of Christa Quilts – You are here! For your chance to win a copy of Contain It!, leave a comment below letting me know if you’ve ever made a quilted container before. Entries are open to US residents through this Saturday, April 18th at 6 PM Pacific Time. I’ll email the winner and update this blog post with the winner’s name. Hi Christa-I have made quilted machine bowls, but it was a long time ago. This book looks like it has some great possibilities. I hope I win a copy. Thanks for sharing and the opportunity to win what looks like a great book.